San Marco is the oldest and most famous quarter of Venice. In the north, it is confined by Canale Grande; in the east it borders with the Castello and Cannaregio quarters and it is linked to San Polo via the famous Rialto Bridge. 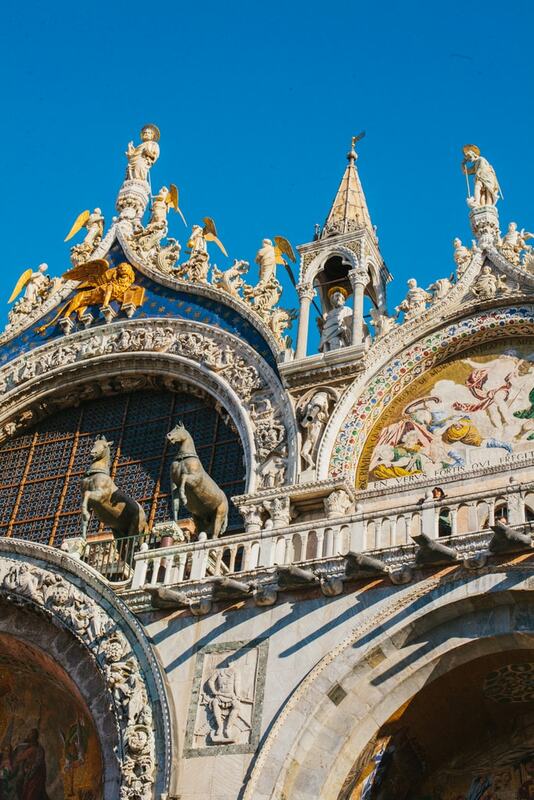 As Venice’s most touristy quarter, San Marco is home to some of Italy‘s major sights. Dating back to the 11th century, St. Mark’s Basilica is considered one of the prime examples of Byzantine architecture in the world with its opulent marble floors, luminous gold mosaics and its gold reliquaries in the treasury. Those reliquaries, brought by Venetian crusaders after the fall of Constantinople, made St. Marks wealthy beyond imagination. The 4,240 square meters of impressive mosaics highlight St. Mark’s tales as well as religious scenes from the old and new testament. 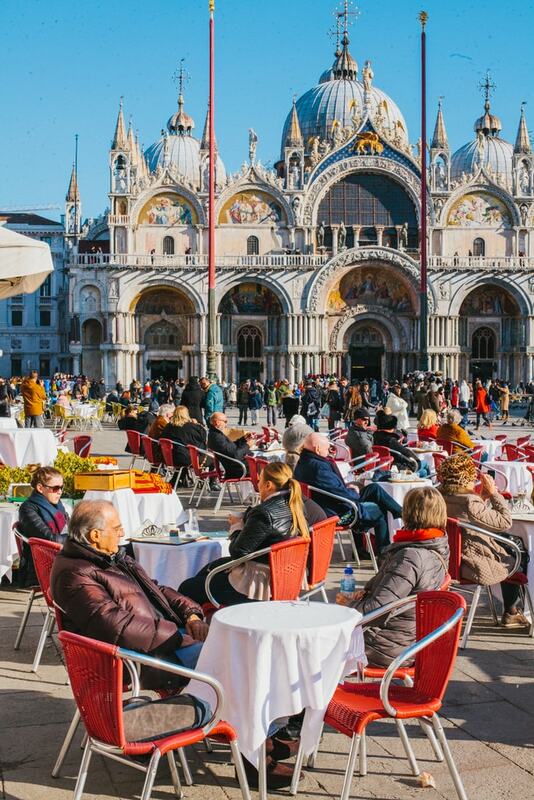 Today, St. Mark’s Basilica is not only the city’s most important monument, it is also a temple of civic life and, housing the remains of St. Marks, a great symbol of religious faith. In 1807, St. Mark’s also became the seat of the Patriach of Venice. 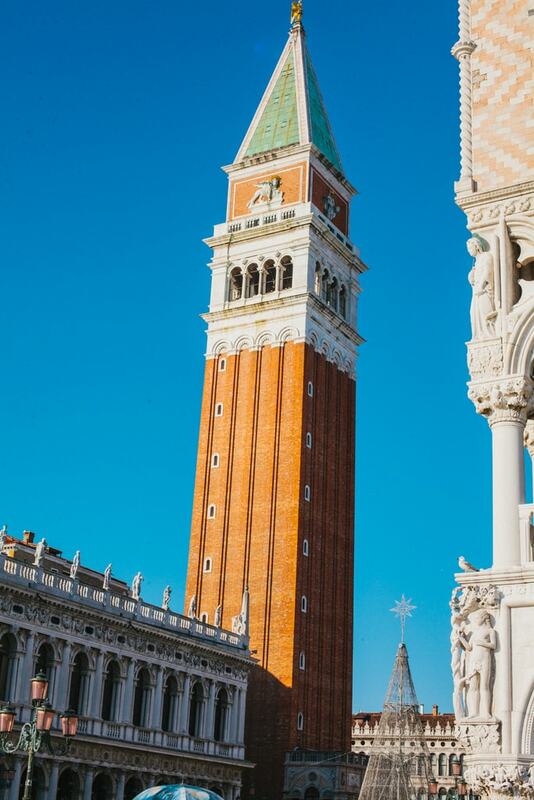 The Campanile di San Marco is an impressive 99-meter-high tower in the center of St. Mark’s square that was first built in the 12th century and rebuilt in its current form in the 16th century. At the time, it was used as a lighthouse for ships as well as a watchtower during war times. 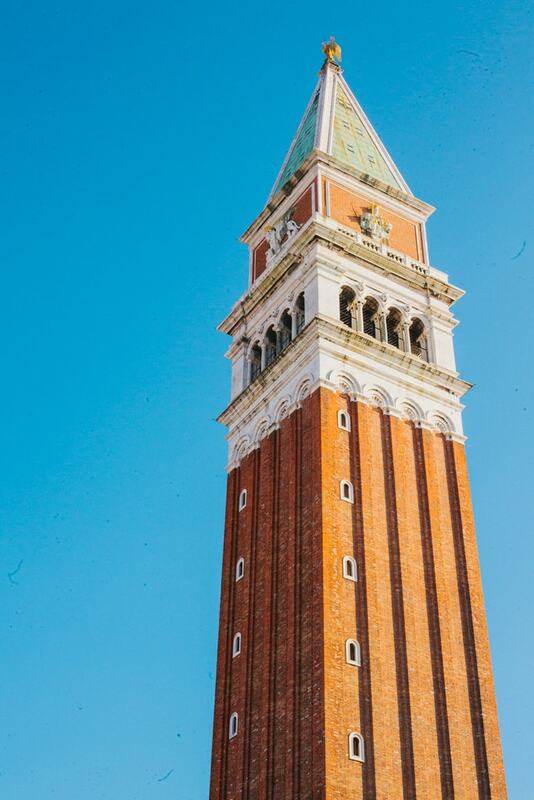 Today the Campanile can be climbed up to its very top, where visitors can not only admire the largest of the tower’s five original bells but also enjoy a breathtaking view over the whole city of Venice. At the bottom of the tower is a lavish balcony that was built by Italian architect Jacopo Sansovino and decorated with marbles and bronzes. 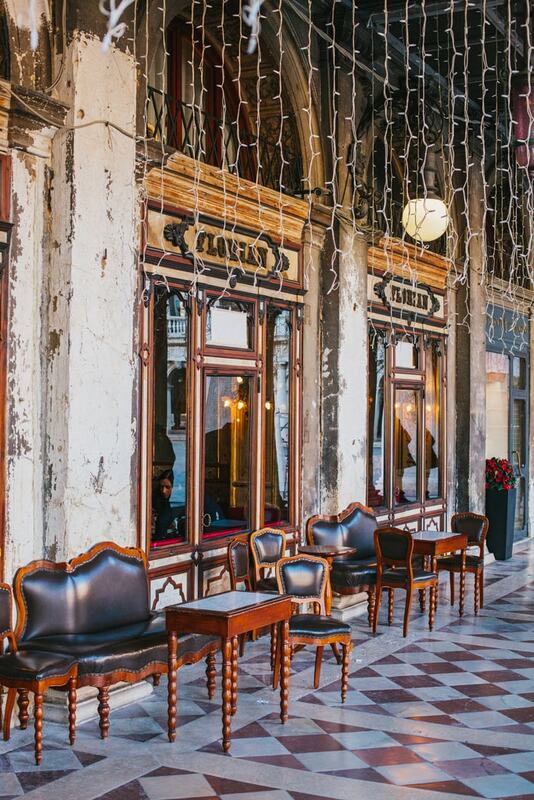 Caffé Florian is one of the most famous and traditional coffeehouses in all of Venice. It is located in St. Mark’s square and was first established in the early 18th century. Today it has transformed into a modern place for exquisite coffee, excellent cocktails and delicious snacks. Caffé Florian is popular with both locals and tourists alike and has been able to build an impeccable reputation over the years. Stop by anytime, whether it is for one of the coffee specialties in the afternoon or a casual drink in the evening to relax in a friendly atmosphere. The Bridge of Sighs, first built in 1600 and designed by Italian architect Antonio Contino, is not only one of Venice’s major sights, but also one of the most famous bridges in the world. Spanning across the Rio die Palazzo, literally translated as the palace river, it was intended to connect the Palazzo Ducale, and most importantly its interrogation rooms, with the city’s prison which was located directly across the river. 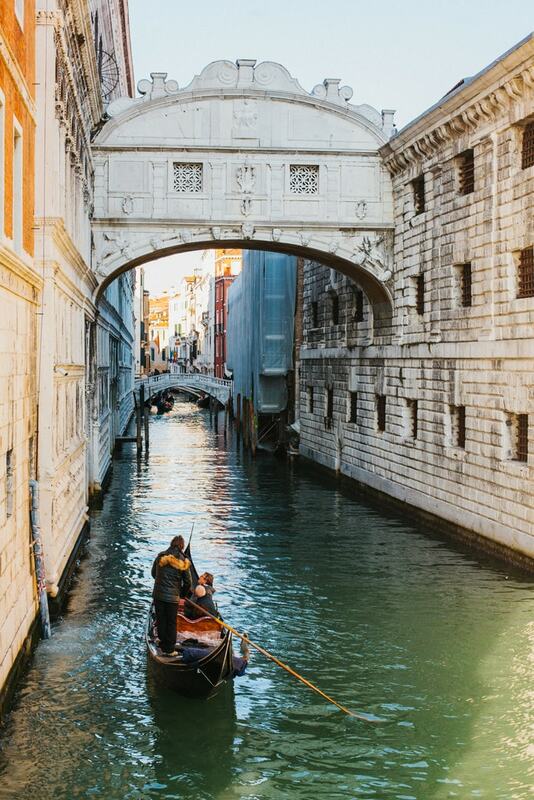 A popular local legend also says that lovers, who kiss on a gondola at sunset under the Bridge of Sighs, will be granted eternal love and happiness. Venice is a great city for a day of shopping with its fantastic mix of Italian designer boutiques and small local handicraft shops. As Venice’s oldest quarter, San Marco is home to the city’s most traditional shops while also welcoming new additions every year. Arnoldo & Battois, located just a few steps away from the famous Rialto Bridge, is run by two Venetian designers who specialize in accessories, most notably leather handbags. Recently, their designs have been complemented by an innovative women’s line. If you visit the shop in either January or June, you will be able to profit from great reductions. 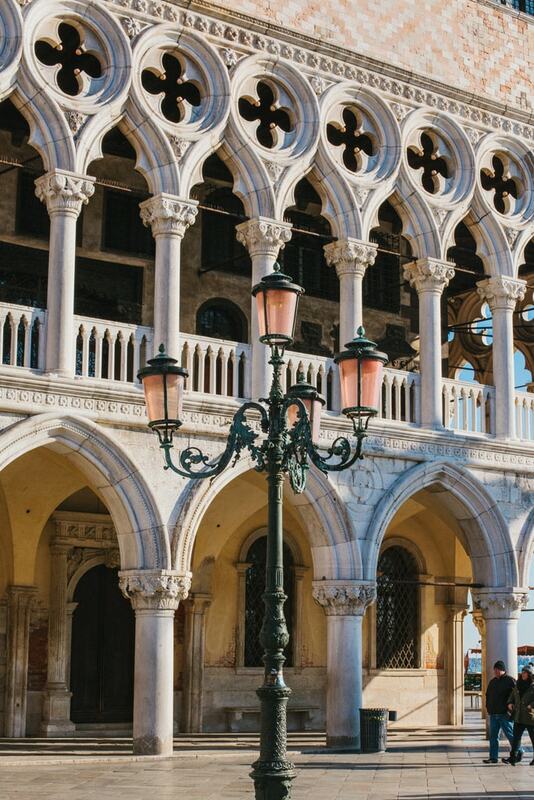 Palazzo Ducale, or the Doge’s Palace, is one of Venice’s most iconic buildings, which can be found both side-by-side with the famous St. Mark’s Basilica and connected to the Bridge of Sighs. 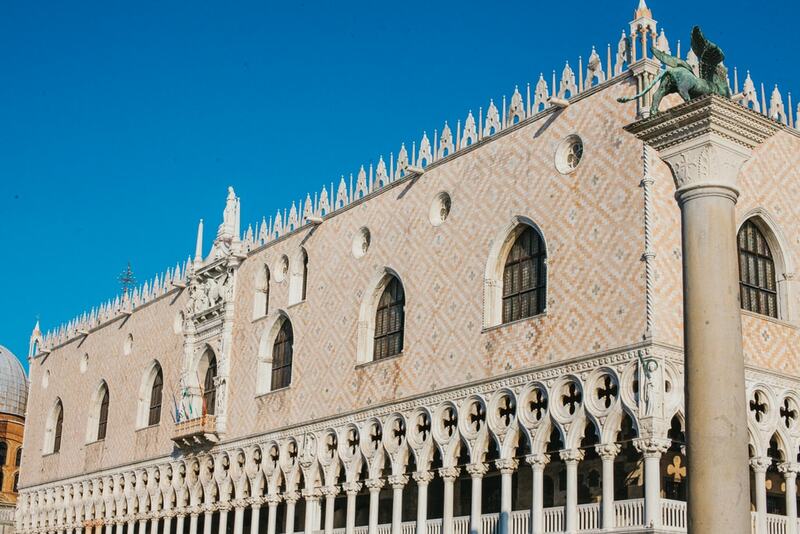 Palazzo Ducale is a masterpiece of gothic architecture that not only housed the Doge’s apartments, but was also the official seat of the government, home to the city’s courtrooms and its jail. Highlights are the palace’s interior, the Sala del Maggior Consiglio, its monumental oil painting by Tintoretto, Sansovino’s golden stairway of Scala d’Oro, and the many paintings by outstanding Italian artists, such as Giovanni Bellini, Vittore Carpaccio and Paolo Veronese. Acqua Alta, meaning high water, refers to flooding that regularly occurs in Venice, mainly between autumn and spring. Early records of Acqua Alta in Venice date as far back as the 6th century and the phenomenon is still an integral part of everyday life as a Venetian. Flooding throughout the city varies and depends on a number of factors such as sea level, distance from the channel and the water drainage network. St. Mark’s square, as one of the low-lying parts of the city, is one of the best places to witness high water. The tide only has to be slightly higher than normal to start flooding the square. Giardinetti Reali, a beautiful pocket-sized garden, is located between the Piazza San Marco and the Canale Grande. 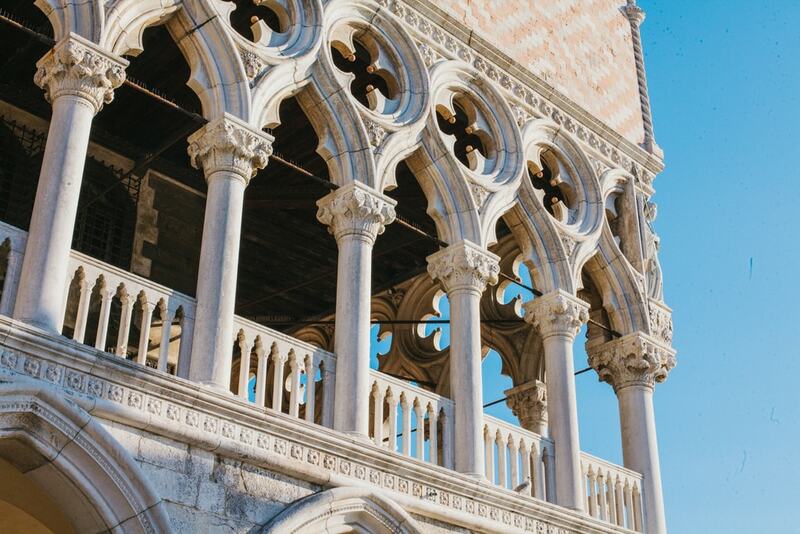 Even though its location is one of the most prominent in the city, it has still remained a hidden gem in Venice. Contrary to other parks in Venice, the Giardinetti Reali are not crowded by masses of tourists and visitors can still enjoy the beautiful nature in a peacefully quiet atmosphere, right in the heart of Venice. No trip to Venice can be complete without a tour on the famous gondolas. Gondolas are a type of light flat-bottomed boats that are especially designed to deal with the shallow waters and mud flats of canals. 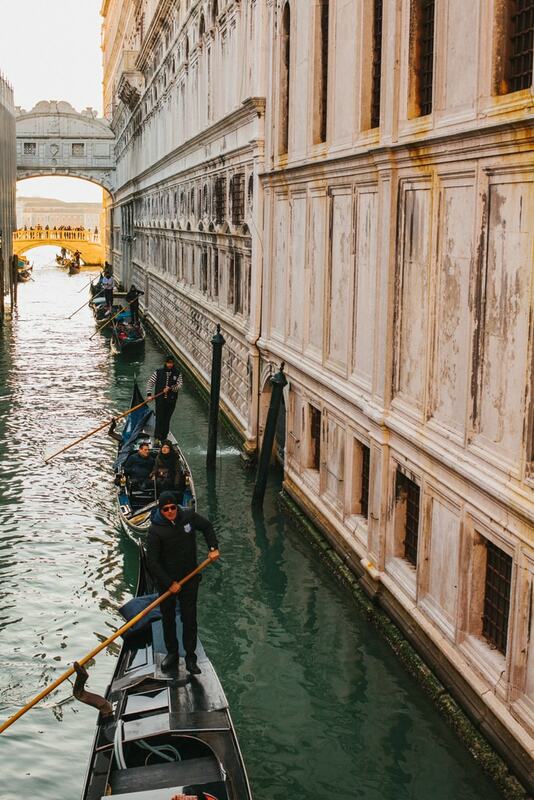 Dating back as far as the 11th century, gondolas were once the main form of transportation through the canals of the city. Today, they are generally used as sightseeing vessels for tourists who want to admire the city from a different point of view. The Istituzione per la Conservazione della Gondola e Tutela del Gondoliere website features detailed information about the history of gondolas and also includes recommended itineraries. The Canale Grande is about 3,800 meters long and constitutes the city’s most important waterway. Since the Middle Ages, the Canale Grande has been the center of the city’s trade and therefore evolved into one of the most upscale parts of town. Magnificent buildings and major sights line up along both sides of the canal. There are also four bridges that cross the Canale Grande on its way to St. Mark’s Square, which form the best viewing platforms of the river.